Sara Hertzberg is a sophomore who likes dogs, spaghetti, and the movie Deadpool, in fact, she has a dog named Delta. She enjoys the writing aspect of journalism and joined to learn how to write further improve her writing skills. Her academic strength is marine science, on the other hand, her academic weakness is math. She is passionate about doing good in school and sports. 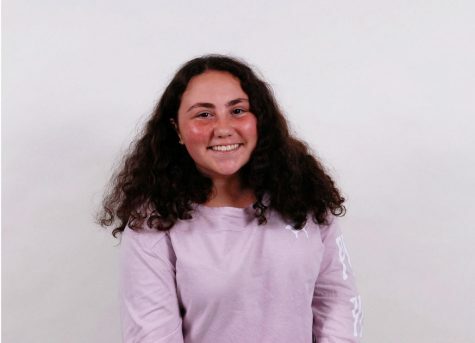 Hertzberg enjoys playing golf and dreams of being a professional golf player. She was born here, but her family comes from New York. When not at school she enjoys the company of her friends. She likes all types of music except country. The people she wants to meet are Matt Champion and Harry Styles. If she could be anyone for a day she would be Matt Champion and if she could have any superpower she would like to have the power of flight.